Today is the 17th anniversary of 9/11. Do you remember that horrible devil face in the billowing smoke of the stricken Twin Towers on 9/11? I’ve never seen that picture again in any accounts of that terrible day since. I was beginning to think it was my imagination…. So I went looking for it on the net. Images of Tuesday’s terrorist attacks have been captured in thousands of photographs. Some of the pictures are horrific, some poignant, and some gut-wrenching, but viewers have written in to newspapers and television stations, saying that that they see an even more haunting image in the smoke billowing from the World Trade Center. Viewers said that in two specific instances, in a photo taken by an Associated Press photographer, and in a video by CNN, they can clearly identify the eyes, nose, mouth and horns of a devil in the black and gray smoke. They questioned whether the photographers manipulated the photo to include a satanic face. I found that CNN had removed the image from their website. The video that was the source of that image had also been disabled by YouTube. See here. Below is the AP photo of the devil face, which was taken by photographer Mark D. Phillips. On June 19, 2013, FOTM received an email stating that ©Mark D Phillips has the copyright on the above image and that the image cannot be reprinted without written consent from Mr. Phillips. FOTM is grateful for his permission. 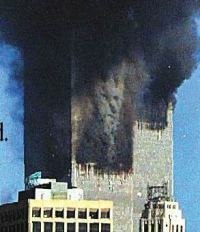 Satan in the smoke of World Trade Center on September 11, 2001 just seconds after the second plane struck the south tower. NOT TO BE PRINTED OR RETRANSMITTED WITHOUT EXPRESSED WRITTEN PERMISSION OF THE COPYRIGHT HOLDER. What is less known is that there was another image in the Twin Towers’ billowing smoke that terrible day. A viewer wrote in to TheDenverChannel.com that she saw an image of an angel, which gave her hope despite seeing the devil face, and left her with a feeling of peace. There is a psychological phenomenon called pareidoliais — the human inclination to perceive a pattern or meaning where it does not actually exist. An example is the “man in the moon” — seeing human features on the moon. But given how little we humans actually know about the Universe — with its multiple dimensions, black holes, the mysterious dark matter that cosmologists say constitutes the bulk of our Universe, and the notion of multiple universes — who’s to say the devils and angel on 9/11 were mere pareidoliais? On September 9, 2016, a professional photographer named Richard McCormack took a pic of the New York city skyline, and captured the beam of light shooting up from One World Trade Center — Ground Zero of 9/11. 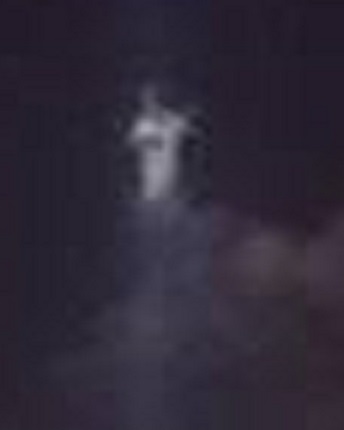 Here’s a close-up of the figure at the top of the beam of light. McCormack describes himself as a clerk at the County of Hudson, and a photographer at The Jersey Journal. 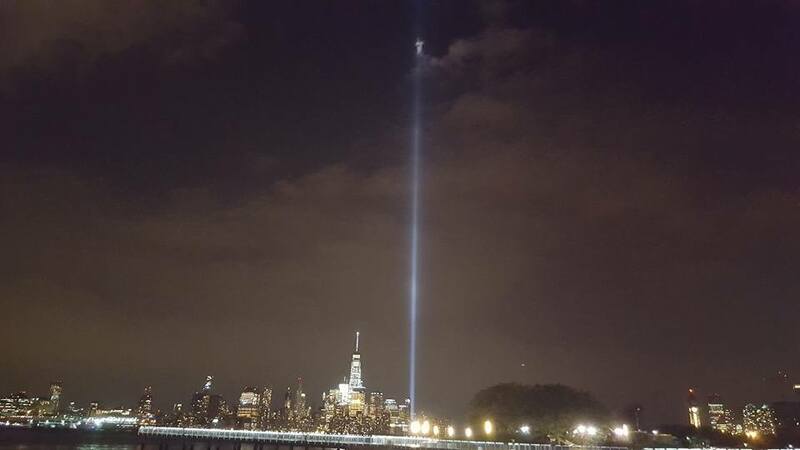 Richard McCormack took several pictures of the Sept. 11 memorial lights on Friday. All of the pictures looked pretty much the same – all but one that depicts an image he can’t quite explain. At the very top of one of the beam, where it meets the clouds, there appears to be a distinctly human-like figure. The Jersey City man, who freelances as a photographer around Hudson County, said the image didn’t appear in any of the identical photos he took from the same location, and the pictures wasn’t altered or edited in any way. In fact, McCormack said, he doesn’t even know how to use editing programs such as Photoshop. 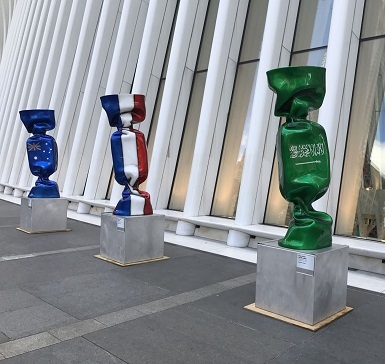 According to McCormack, the picture was taken from the waterfront in Hoboken during a festival late last week — just two days before the country held countless services and events in memory of the Sept. 11, 2001 terror attacks. The Hudson County man, a former postal worker who serves on the Jersey City Zoning Board, has seen the memorial lights before. He’s photographed them numerous times, but he says seeing the image at the top of the beam was a complete surprise. McCormack said that while he does believe in prayer, he admittedly doesn’t go to church every week. He can’t say with any certainty what the image at the top of the beam is, but several people who commented on his picture on Facebook believe it’s spiritual, with many people saying they believe it to be an angel. At least one person recalled seeing it with her own eyes as she was driving. “Yup. It’s an angel. Noticed it last night driving on the parkway,” Diane Brennan commented on the image, which McCormack posted around 9 p.m. Monday night and was quickly shared almost two dozen times. Other people also commented, saying they believed it to be an angel or Jesus. Others, who know of McCormack’s lack of photo editing abilities, even commented on the authenticity of the picture. “If someone else took the pic I would think this was Photoshopped…great pic Rich,” Linda Conner said. In fact, although he took the photos last week, McCormack said he didn’t even notice the anomaly until today. He said had he seen it yesterday, on 9/11, he would’ve been even more emotional. “That day turned a lot of things around and changed our country,” he said of the terrorist attacks. McCormack acknowleged that many people would either assume the photo was altered or that they would believe the image atop the beam can be easily attributed to other, non-spiritual factors such as the shape of the clouds. As of now, though, he still has no explanation but said he’s content knowing that so many people found a sense of comfort in seeing the photo. See also “Angel and Devil on 9/11“. Your antidote to those taking a knee during the National Anthem. From ESPN: Golden Tate has spent the past couple of seasons doing what he could to honor veterans and first responders – from his charity efforts to inviting veterans to his suite for games. On Sunday, the day before the 9/11 anniversary, the Detroit Lions wide receiver took his message to his cleats. Tate posted the cleats on his Instagram page Sunday morning with a stenciled drawing of first responders and the American flag on one shoe and the image of the Twin Towers on the other shoe. On the two shoes combined, he had “Land of the Free” and “Because of the Brave” written. It also comes the day before Tate’s Stars and Strikes bowling fundraiser on Monday. Earlier this preseason, Tate said he was going to contemplate doing different things with his cleats this year, but wasn’t positive what he was going to do yet. “I’m not going to lie,” Tate said. “I was pretty excited that we’ve been OK’d to be a white-shoe team and I think they changed the rule [last month] that every team could wear a majority white, majority black so I’m kind of bummed that now we’re just in a pool with everybody. But I don’t know. I don’t know. From NY Post: The principal at a progressive Manhattan private school told parents in an email last week that the Trump presidency was more troubling than Vietnam, the assassination of Martin Luther King Jr., the September 11 attacks and Watergate, The Post has learned. “The ways in which equity and equality are now threatened are deeply troubling, including the constitutionally suspect and arguably discriminatory efforts to restrict or prohibit immigration based on religion and/or ethnicity,” he wrote. Students at the West End Ave. school – which counts actor Ben Stiller and comedian Jordan Peele as graduates – eagerly backed their principal. Sole Republican elector who plans to vote against Trump is a 9/11 faker? From Daily Mail: The Republican elector from Texas who refuses to cast his vote for Donald Trump at the Electoral College wrongly claimed to be a first responder during the September 11 attacks. Chris Suprun, a Texas elector, said he was one of the first on scene after a third plane flew into the Pentagon on 9/11. But in fact he was not employed as a firefighter at the Virginia department he often credits until a month after the attacks, according to an investigation by WFAA. The fire department did not even attend the Pentagon on 9/11. 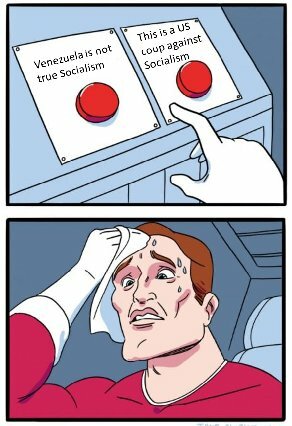 Suprun portrayed himself as a heroic firefighter in a widely-shared editorial this month for The New York Times, in which he declared he would not be voting for Trump, calling him unqualified, unfit and ‘dismissive’ of his own conflicts of interest. The 42-year-old, from Dallas, is the sole Republican to publicly announce his ballot would not be cast for the president-elect. He also co-signed a letter with nine Democratic electors which has been widely described as ‘bipartisan’ calling for briefings before the college voted from intelligence agencies on claims Russia hacked Hillary Clinton’s emails in an attempt to tip the election in Trump’s favor. Suprun is just one of 38 electors in the Lone Star state, where Trump won by more than nine points. Suprun claimed to be a first responder with the Manassas Park, Virginia, fire department and has made at least two appearances at Major League Baseball games where he was introduced as a 9/11 veteran and threw out the first pitch. He also claims to have founded the nonprofit Never Forget, and says he is a licensed paramedic. But a first responder who knows Suprun told WFAA a different story. The responder, who spoke under anonymity, said: ‘He claimed to be a first responder with the Manassas Park [Virginia] Fire Department on September 11, 2001 and personally told us stories “I was fighting fire that day at the Pentagon”. ‘No, I was on a medic unit that day at the Pentagon and you make a phone call to Manassas Park and you find out that he wasn’t even employed there until October 2001.’ The City of Manassas Park confirmed that Suprun was hired on October 10, 2001, a month after the September 11 attacks. The city’s fire chief told WFAA that the department never even responded to the Pentagon or other 9/11 sites. In his editorial, Suprun credits former President George W Bush for leading the nation through 9/11 in his New York Times op-ed. ‘George W. Bush is an imperfect man, but he led us through the tragic days following the attacks,’ he writes. 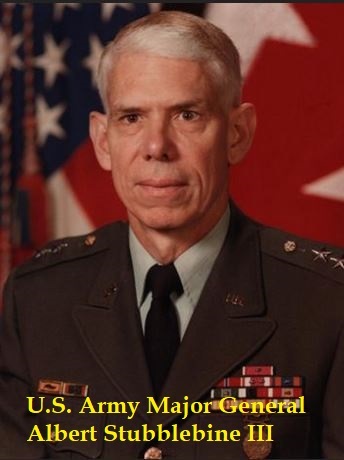 ‘His leadership showed that America was a great nation. 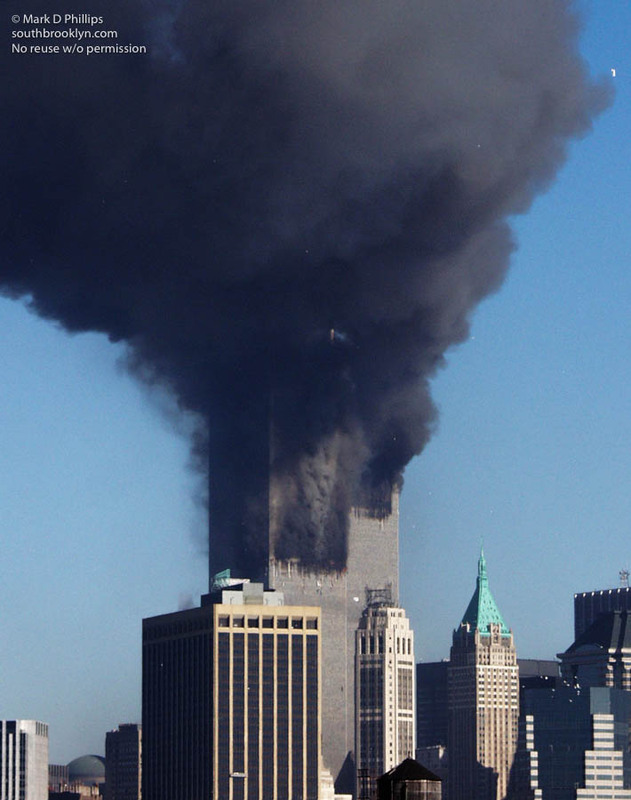 Yesterday, the U.S. House of Representatives Intelligence Committee released the long-awaited and much-speculated-about 28 pages from the report by the congressional Joint Inquiry Into Intelligence Community Activities Before and After the Terrorist Attacks of September 11, 2001. 9/11 was the worst attack on U.S. soil in U.S. history, second only to the 1941 Imperial Japanese attack on Pearl Harbor. Until yesterday, those 28 pages had been classified and, we were told, withheld from the American people by both the George W. Bush and Obama Administrations. 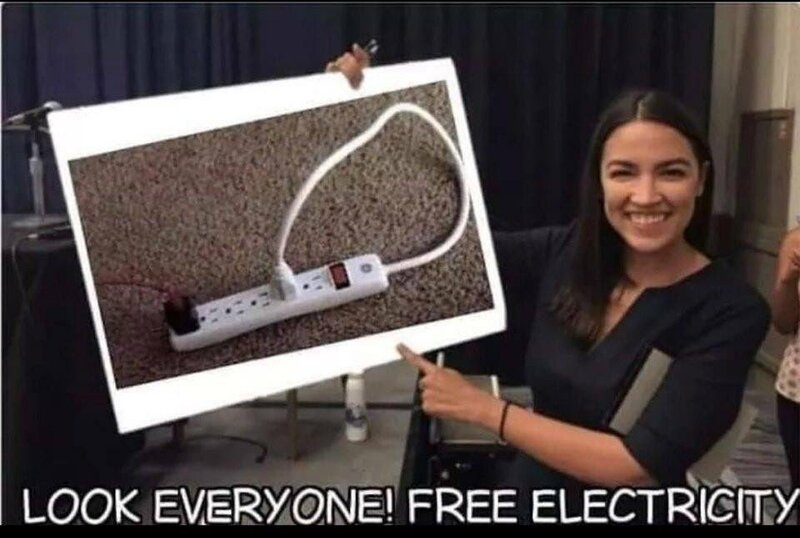 But it turns out all along it was within the power of Congress to make public those 28 pages! 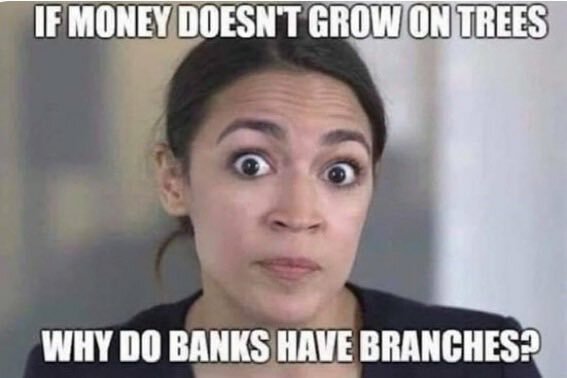 No wonder politicians are held in such low regard by the American people. The released 28 pages still contain a number of redactions, that appear to be the names of individuals and of Saudi businesses. The pages also make clear that they are based on FBI and CIA documents that the Joint Inquiry had not itself investigated, using the lame excuse that it did not have the resources to conduct such an investigation, which of course is horse manure. 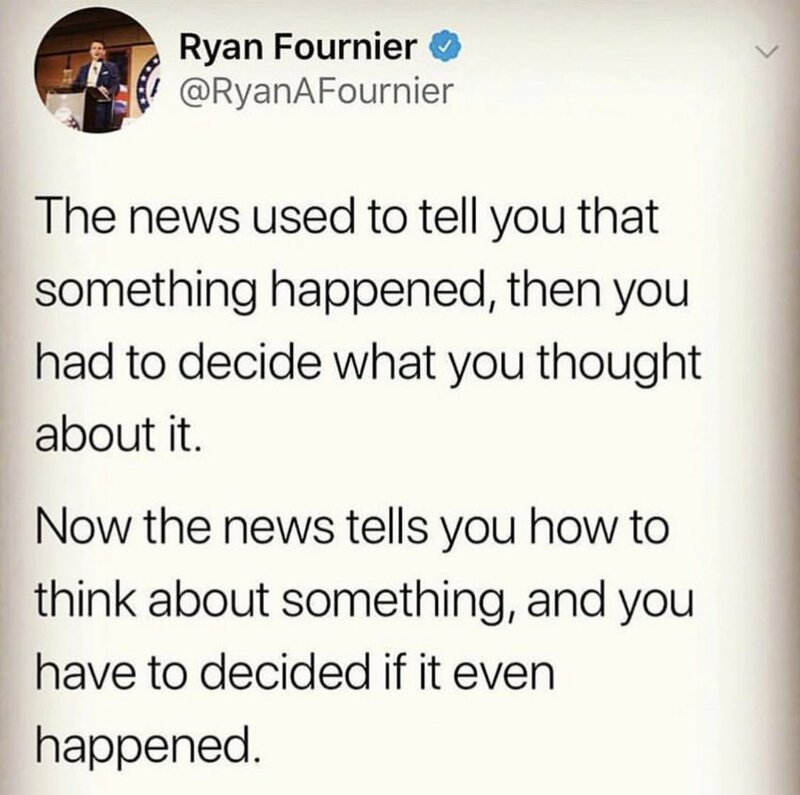 Former Saudi ambassador to the U.S. Prince Bandar and his wife; “blind” Shaykh al-Thumairy; and Abdullah Bin Laden, brother of Osama Bin Laden. Saudi intelligence officers Omar al-Bayoumi and Osama Bassnan. The 28 pages are in PDF format that does not enable copy-and-paste. I have therefore painstakingly transcribed the bulk of the pages into text (see below). I emboldened and colored red certain words, for emphasis. To read the 28 pages in PDF, go here. 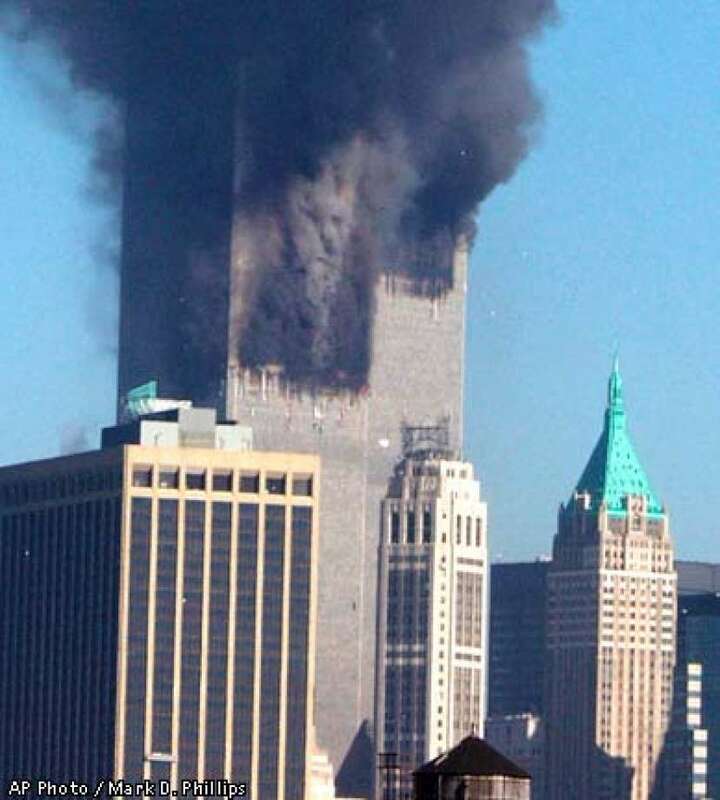 The 9/11 devil face is that of Saudi Arabia. Authentic, undoctored photo taken by AP photog Mark D. Phillips on 9/11. 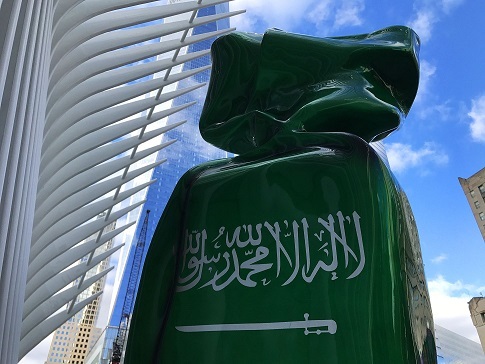 Finding: While in the United States, some of the September 11 hijackers were in contact with, and received support or assistance from, individuals who may be connected with the Saudi Government. There is information, primarily from FBI sources, that at least two of those individuals were alleged by some to be Saudi intelligence officers. The Joint Inquiry’s review confirmed that the Intelligence Community also has information, much of which has yet to be independently verified, indicating that individuals associated with the Saudi Government in the United States may have other ties to al-Qa’ida and other terrorist groups. The FBI and CIA have informed the Joint Inquiry that, since the September 11 attacks, they are treating the Saudi issue seriously, but both still have only a limited understanding of the Saudi Government’s ties to terrorist elements. In their testimony, neither CIA nor FBI witnesses were able to identify definitely the extent of Saudi support for terrorist activity globally or within the United States and the extent to which such support, if it exists, is knowing or inadvertent in nature. The FBI’s Washington Field Office created a squad devoted to [redacted]. Only recently and at least in part due to the Joint Inquiry’s focus on this issue, did the FBI and CIA establish a working group to address the Saudi issue. In the view of the Joint Inquiry, this gap in U.S. intelligence coverage is unacceptable, given the magnitude and immediacy of the potential risk to U.S. national security. The Intelligence Community needs to address this area of concern as aggressively and quickly as possible. 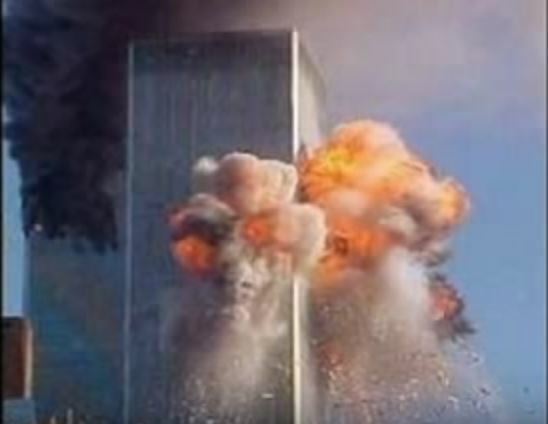 Discussion: One reason for the limited understanding is that it was only after September 11 that the U.S. Government began to aggressively investigate this issue. Prior to September 11, the FBI apparently did not focus investigative resources on [redacted] Saudi nationals in the United States due to Saudi Arabia’s status as an American “ally.” A representative of the FBI [redacted] testified that, prior to September 11, 2001, the FBI received “no reporting from any member of the Intelligence Community” that there was a [redacted] presence in the United States. Omar al-Bayoumi. The FBI has received numerous reports from individuals in the Muslim community, dating back to 1999, alleging that al-Bayoumi may be a Saudi intelligence officer. FBI files suggest that al-Bayoumi provided substantial assistance to hijackers Khalid al-Mihdhar and Nawaf al-Hazmi after they arrived in San Deigo in February 2000. Al-Bayoumi met the hijackers in a public place shorting after his meeting with an individual at the Saudi consulate and there are indications in the files that his encounter with the hijackers may not have been accidental. During this same time-frame, al-Bayoumi had extensive contact with Saudi Government establishments in the United States and received financial support from a Saudi company affiliated with the Saudi Ministry of Defense. According to the FBI files, [redacted] at the company said that al-Bayoumi received a monthly salary even though he had been there on only one occasion. This support increased substantially in April 2000, two months after the hijackers arrived in San Diego, decreased slightly in December 2000, and stayed at the same level until August 2001. That company reportedly had ties with Usami Bin Laden and al-Qa’ida. In addition, the FBI determined that al-Bayoumi was in contact with several individuals under FBI investigation and with the Holy Land Foundation, which has been under investigation as a fundraising front for Hamas. 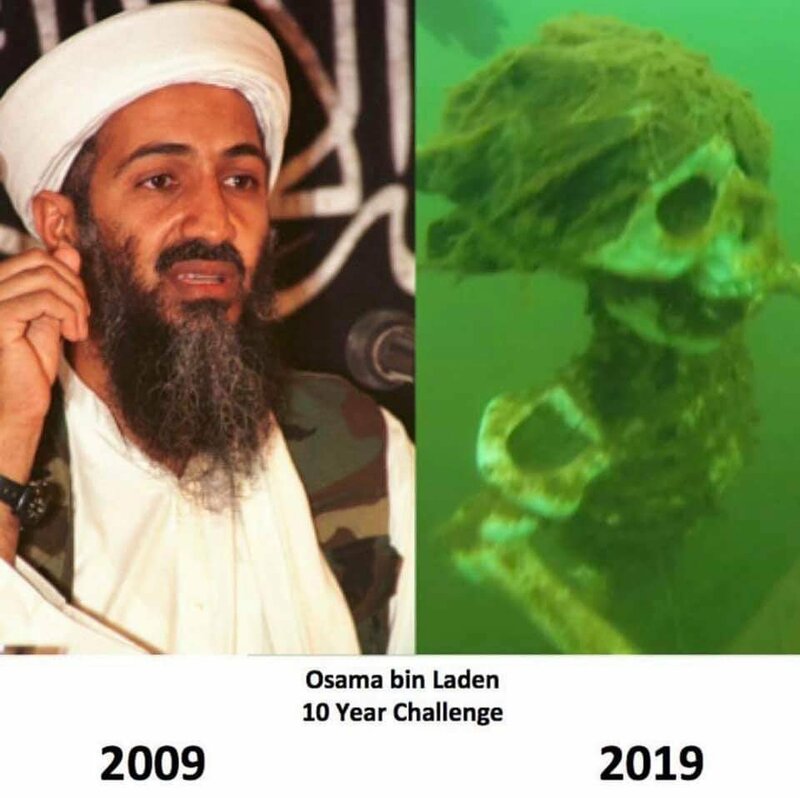 Abdullah Bin Laden. Abdullah Bin Laden claims to work for the Saudi Embassy in Washington, D.C. as an administrative officer. He is identified by the FBI as Usama Bin Laden’s half brother. 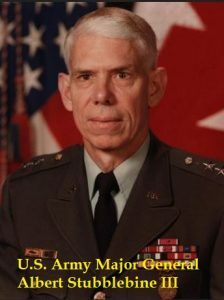 He is a close friend of Mohammed Quadir-Harunani, a possible associate of [9/11 hijackers] Mohammed Atta and Marwan al-Shehhi prior to September 11, 2001. According to an FBI agent in Phoenix, the FBI suspects Mohammed al-Qudhaeein of being [redacted]. Al-Qudhaeein was involved in a 1999 incident aboard an American West flight, which the FBI’s Phoenix office now suspects may have been a “dry run” to test airline security. During the flight, al-Qudhaeein and his associate asked the flight attendants a variety of suspicious questions; al-Qudhaeein then attempted to enter the cockpit on two occasions. Al-Qudhaeein and his associate were flying to Washington, D.C. to attend a party at the Saudi Embassy, and both claimed their tickets were paid for by the Saudi Embassy. During the course of its investigations, the FBI has discovered that both al-Qudhaeein and the other individual involved in this incident had connections to terrorism. It should be clear that this Joint Inquiry has made no final determination as to the reliability or sufficiency of the information regarding these issues that we found contained in FBI and CIA documents. It was not the task of this Joint Inquiry to conduct the kind of extensive investigation that would be required to determined [sic] the true significance of any such alleged connections to the Saudi Government. On the one hand, it is possible that these kinds of connections could suggest, as indicated in a [redacted] dated July 2, 2002, “incontrovertible evidence that there is support for these terrorists within the Saudi Government.” On the other hand, it is also possible that further investigation of these allegations could reveal legitimate, and innocent, explanations for these associations. Given the serious national security implications of this information, however, the leadership of the Joint Inquiry is referring the staff’s compilation of relevant information to both the FBI and the CIA for investigative review and appropriate investigative and intelligence action. Why did Jewish senator Schumer sabotage Senate bill to hold Saudi Arabia accountable for 9/11?